Manufactured in Brazil and exported to more than 40 countries on five continents, MGtires are among the best in the karting world. Used by thousands of pilots in hundreds of championships, the products manufactured in Barra do Ribeiro, about 50 kilometers from Porto Alegre, capital of Rio Grande do Sul, are synonymous with reliability, durability and competitiveness. Recently, the FZ, with yellow-stamp, was tested at the Kartódromo Granja Viana in Cotia (SP), which will host the 53rd edition of the Campeonato Brasileiro de Kart next July. 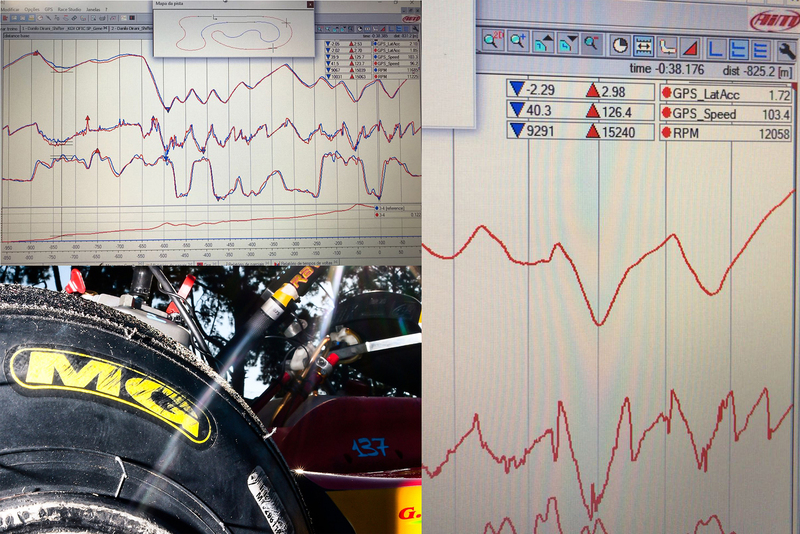 Participating in a round of the Copa São Paulo KGV in the Shifter category, multi-champion Danilo Dirani obtained interesting data regarding about the MGtires performance. "The new track allows you to make turns 1 and 2 accelerating and in 6th gear. The asphalt is new and therefore the 'grip' is very good. In this way, the tires are put under impressive pressure", attests Dirani, four-time Brazilian karting champion and former test driver in Formula 1. According to data obtained by the AIM telemetry system, the force G obtained at this moment has reached close to 3g. "3g is something that we only achieved in Formula 1, and not even Formula 3 reach what we achieved with Shifter's kart and MG tires," says Danilo Dirani. During the round of the Copa São Paulo KGV the other competitors of Shifter went through the same extreme situation, a lot of pressure on the tires they used, the same model used by Danilo Dirani. "We all took part in the classification session and the two batteries, each with 20 laps, and no one had problems with the tires, which in this way were subjected to extreme pressure for a long time. And once again we can confirm the quality of the tires manufactured by MG ", ends Danilo Dirani.